Product categories of Horizontal Slurry Pump, we are specialized manufacturers from China, AH Horizontal Slurry Pumps, Horizontal Mining Slurry Pump suppliers/factory, wholesale high-quality products of Single-Stage Horizontal Slurry Pump R & D and manufacturing, we have the perfect after-sales service and technical support. Look forward to your cooperation! 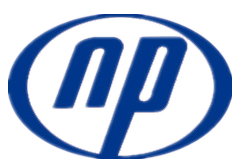 Shijiazhuang Naipu Pump Co.,ltd is a professional manufacturer of all type of horizontal centrifugal slurry pumps. Our horziontal centrifugal slurry pumps including:NP-AH,NP-AHR,NP-HH,NP-M which are designed for handing highly abrasive,high density slurries in the metallurgical,mining,coal,power, building material and other industrial department,etc.The pumps of this type also maybe installed in multistage series. NP-G,NP-GH gravel and sand slurry pumps are designed for continously handling the most difficult higher abrasive slurries which contain too big solids to be pumped by a common pump. they are suitable for deliverying slurries in mining.Explosive-sludge in metal melting,dredging in dredger and course of rivers,and other fileds.Type NP-GH pumps are of high head ones. NP-Lseries pump are suitable for delivering lower abrasive,lower density slurries for metallurgical,mining,and building material departments.The shaft seal adopt gland seal and centrifugal seal. And Naipu also produce many other types of Horizontal Slurry Pumps,such as NP-M,NP-ZG,NP-WS Dredging Pump and NP-ZJW Feeding Pumps,etc.